Our team designed this game during RISD’s first Makeathon. The Makeathon tasked the participants to create an object, game or installation revolving around the concept of play. 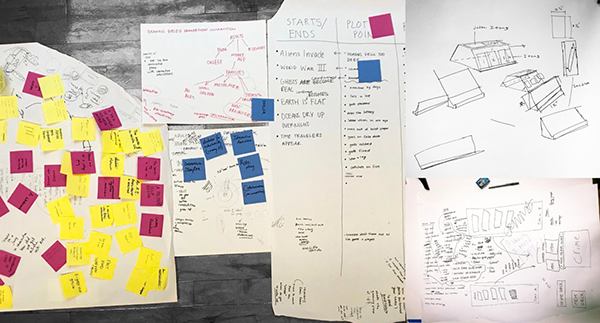 In six hours our team ideated, developed, modeled, and play-tested several games. 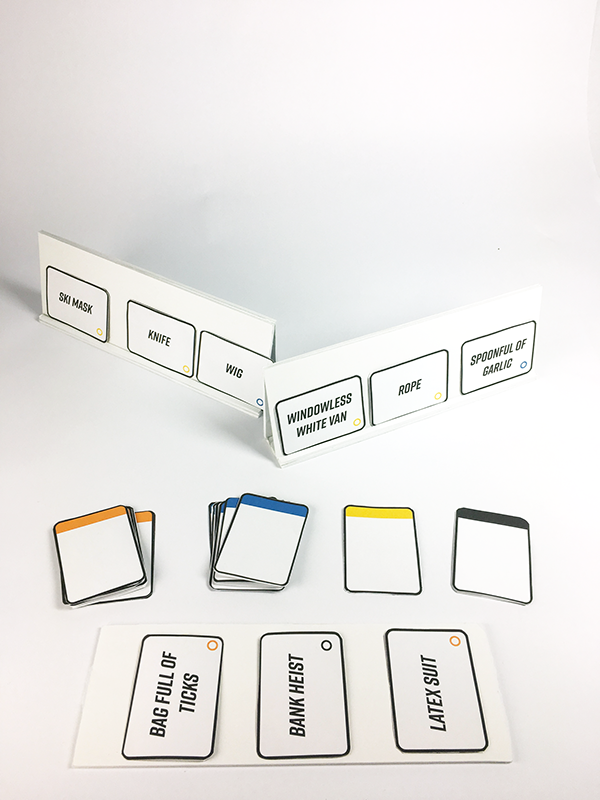 Our goal was to create a game that would allow young adults and professionals to have an interactive, playful, and challenging game experience. This game experience would encourage role-play and on the spot thinking in a demographic that often lacks or avoids these kind of tasks. After this intensive process we created the game Venture Criminalist. In this game the players are divided into two teams. One player also acts as the Venture Criminalist, essentially a mob boss that has the funds to invest in a proposed crime plan. The two teams are then tasked by the Venture Criminalists to complete the same crime. In order to commit this crime the two teams are given different sets of objects. Each team is given one object from the vanilla deck, which is made up of traditional criminal objects like ski masks. They are also given three objects from the mild deck, which is made up of non-criminal objects like spoons or knitting needles. There is also a spicy deck, made of strange and ridiculous items, that is controlled by the Venture criminalists who can pull any two cards which both teams must then include in their criminal masterplan. The teams must then confer between themselves to come up with a plan involving all of their objects as well as the two surprise objects pulled out by the Venture criminalist during the planning period. The two teams then propose their respective plans to the Venture Criminalist who judges and decides which plan is more viable, more humorous, or better executed.